Recently one of our AdSense sites had a lot of poor ads on it that we filtered out, but it is hard to keep up with all the new ones. Some of them are so bad that you know they are junk just by looking at the URL. Danny recently highlighted how Ask.com is becoming a big arbitrage play, but I am seeing lots of arbitrage ads from smaller advertisers as well...ones that would have been filtered out of Google a year or two ago (unbranded sites, cheesy universal subdomains, subdomains of subdomains, .info thin content sites, sites which act as a portal that link to domain lander pages that use a 0 for the o in the domain name, Overture feed sites, adsense sites with robotic content, etc etc etc) are now showing up for many Google searches. Google has begun running their own arbitrage ads for things like credit cards and car insurance. Some people have even noticed graphical ads selling people and sites distributing spyware. 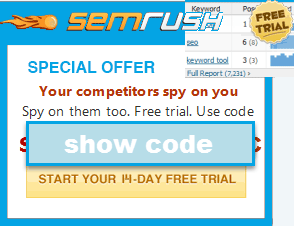 On one major keyword I saw all but one ad being from an unbranded thin arbitrage site. On one search I clicked from Google into an arbitrage site that lists links to niche domains with domain holder pages. On those domains there were Overture advertiser links. I clicked one of those and ended up on a site that was a thin crappy AdSense arbitrage site. That AdSense ad I clicked on landed me on another domain lander page powered by Overture. That domain lander page had ads on it for the domain name I just came from...and then I fully appreciated the absurdity of it all! I could make a video showing examples, but did not want to out people. I just find it lame that Google polices organic results so aggressively and then let their ad network devolve this far this fast. They were pretty strong 6 months ago. I suspect that Google is trying to goose revenues for this quarter (or is trying to use the downturn to be aggressive with experimentation). I can't think of any other reasons why they would have done such a major retracement on their quality score algorithm and click arbitrage front. Essentially they are paying people to generate garbage AND eat up a lot of their revenue while providing zero value in the transactions. Have you been seeing a sharp rise in garbitrage? I don't know about adsense ads (I only pay attention to them if my eCPM drops, and it hasn't) but I've noticed a lot of spam in the serps lately. Last summer it seemed like I was finding less spam, but lately it's everywhere I look. It might be a function of what I'm looking for these days though. Google is definitely starting to get a lot more aggressive in their attempts to pump up revenue. Also worth mentioning is Google recently opening up their Domain parking program "Google Adsense for Domains" to all Adsense publishers. http://sphinn.com/story/92575. If Google doesn't police this effectively we will see a whole new layer of arbitrage and dirty ad syndication coming out of the woodwork that trumps some of the nonsense that's been going on over the last couple years with Overture feeds and the other smaller players operating in some of the more nefarious industries. You know the sound of Google opening the door for a new competitive search engine. When I search for a big head term on google.com the ads that show up on the top of the first page (lets say 10) positions, still seem to be decent quality. What has slipped is the quality and allowances of the advertisers on their content advertising side. I own a site specifically to watch what happens when you win organic traffic from Google but monetize on Google through adsense (and to make some money :-)). My eCPM's have stayed the same but the quality of advertisers is terrible, basically since October. Does this mean come Jan/Feb of 09 we will see a serious decline in rev from Goog? I think the ad quality dropping is a sign of desperation for revenues...but at some point they will start running out of new advertisers to replace the old ones and then revs will really drop off. 1. Does Adsense help or harm SEO? 3. If yes, then does this harm SEO? I have been setting up my own website and while I have been focusing on SEO (on and off), I'd like to earn some quick bucks with Adsense. Is it possible at this point without a Adwords account? My site is almost 6 months old. I answer SEO questions inside our member forums.